A group of creative authors from the most varied geographical and cultural ground outfitted with the infinite possibility of video art express the complex strength that identifies us as human beings: the emotions. Provided by the exquisite extensive video collection of the Human Emotion Project, founded and directed by the South African artist Alison Williams, a roll of forty works selected by the Portuguese commissioner of the HEP group will compose an eclectic audiovisual program to be held at the José Malhoa Museum from 20 to 25th October, with a special gathering in the evening of 22nd of October of 2009. The evening session of 22nd October will be lighten by the accredited Art Professor and Filmmaker Fernando Galrito as guest speaker and also by the inclusion in the screening program of student works from of the High School of Arts and Design of Caldas da Rainha (ESAD.CR) that this way are associated to the event. The presentation evening hosted by the José Malhoa Museum of the Museums and Conservation Institute (MJM-IMC.IP), in partnership with the Human Emotion Project (HEP) and the High School of Arts and Design of Caldas da Rainha (IPLESAD. CR) will take place at 21h00h and will be extended up to the 24h00. During the entire schedule of the Human Emotions Video Art event (from 20 to 25 October) all works selected (HEP and ESAD.CR) will be rolling in the Multimedia Room in a rotational format at the opening hours of the museum. There is no parallel to Pat O'Neill's sui generis approach to film. With him the medium fully attained the realm of fine arts. 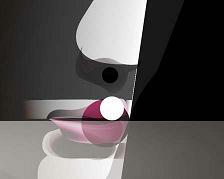 O'Neill is a master of the combinatory work, a collage expert and an elegant frame composer. His films are uncanny essays, breaking down technical boundaries and viewers' assumptions. 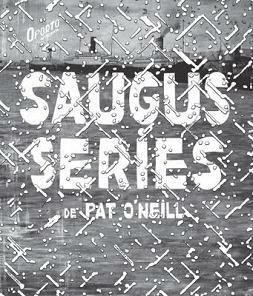 In Saugus Series the artist aligned seven short films, united by a common soundtrack. "Each film is an evolving "still life," made up of meticulously assembled but spatially contradictory elements "
Dara Birnbaum is known for using video to reconstruct television imagery using as material such archetypal formats as quizzes, soap operas, and sports programmes. Her techniques involve the repetition of images and interruption of flow with text and music. Her best known work ‘Technology/Transformation: Wonder Woman’ was made by appropriating imagery from the 1970s TV series Wonder Woman. Through this process Birnbaum isolates and repeats the moment of the "real" woman's symbolic transformation into super-hero. tank.tv is pleased to exhibit a solo show from Sebastian Buerkner which will transform www.tank.tv and present fourteen of his works. Sebastian Buerkner's animations offer poly-sensorial experiences, subtly set in situations at the edge of dreaming and waking. His sophisticated audio-visual language which encorporates controlled muddles of strobe lights, flashy colours and vectorial shapes engage forensically with ideas of time, space, speed, colour and weight. Sebastian Buerkner studied painting in Germany before moving to London to complete an MA at Chelsea College of Art & Design in 2002, where he was awarded a Fellowship Residency the following year. His work has been exhibited in several group and solo shows internationally including at Tramway in February 2009 and in the NKV Wiesbaden in March 2009. Since 2004 his practice has shifted exclusively to animation. He has had solo exhibitions in London including LUX at Lounge Gallery in 2006, the Whitechapel Project Space in 2007 and The Showroom in 2008. Sebastian’s work will be shown on www.tank.tv from the 23rd September - 13th October 2009. Daniel Cockburn often appears in his own films. He is not playing himself, but he enacts the main character of his script. "I am interested in this blank face without emotions. It becomes a projection surface for anything that happens in the film, like the Kuleshov Effect". The early Russian filmmaker proved that the same head-shot can express fear, anger or sadness depending on the adjunct edits in the film and he thus had a strong influence on Eisenstein's theory of montage. Later, the emotionless poker face of Buster Keaton was celebrated as the beginning point of modern film acting. ­ "And I decided I could do that myself; I didn't need an actor to make the kinds of films I wanted to make," says Cockburn, and he consequently started to explore his own ways of filmmaking. 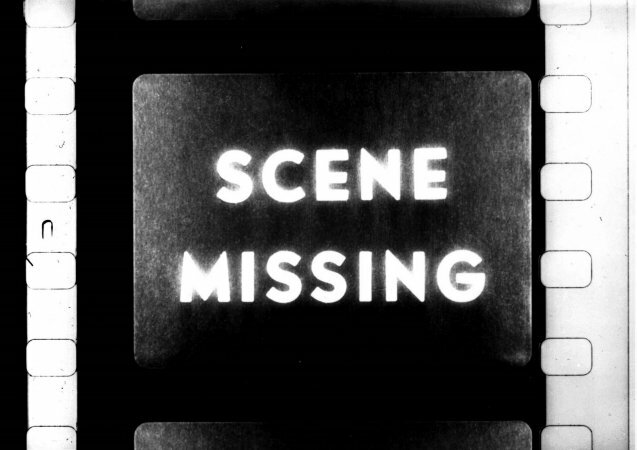 Performances in 16mm, super-8mm, video, as well as experimental electronic music. Curated by Stoffel Debuysere and Maria Palacios Cruz. (DE)CODING plays with cinema’s ability and potential to generate associations, may they be intentional or not. This programme brings together a series of films that explore the capacity of images and words to create meaning, even when attempts are made to release them from the constraint of narrative, or in other words from the constraint of “making sense”. Images and words can’t help making meaning “before our eyes”, for we will always try to look for their sense and purpose. Via Diagonal Thoughts. This programme will be introduced by Morgan Fisher. 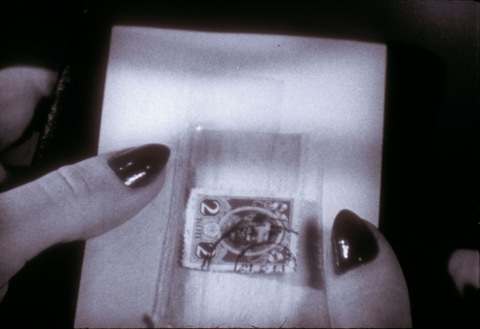 The 16mm films of Morgan Fisher (US, 1942) – straightforward, elegant, playful – are particularly idiosyncratic; they are situated both outside the film industry and the central developments of avant-garde cinema. Too minimal and conceptual for Hollywood’s taste; too concerned with the specifics of industry procedures for the underground. Via Diagonal Thoughts.